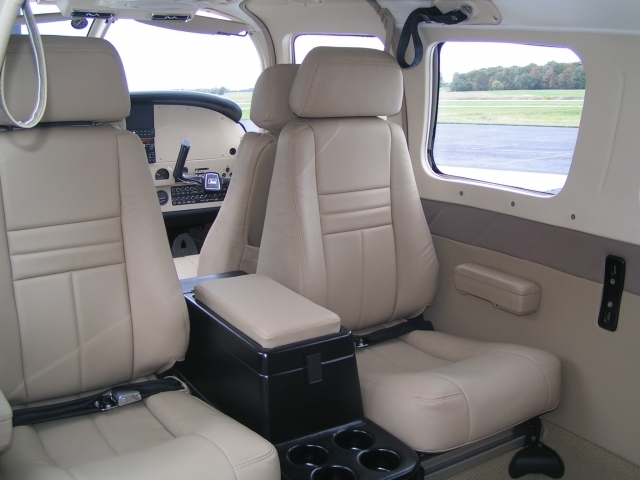 Interior: We removed the complete interior and examined it for corrosion. We cleaned and treated any that was found. We inspected all interior plastic, and made any repairs or replaced it with new materials. 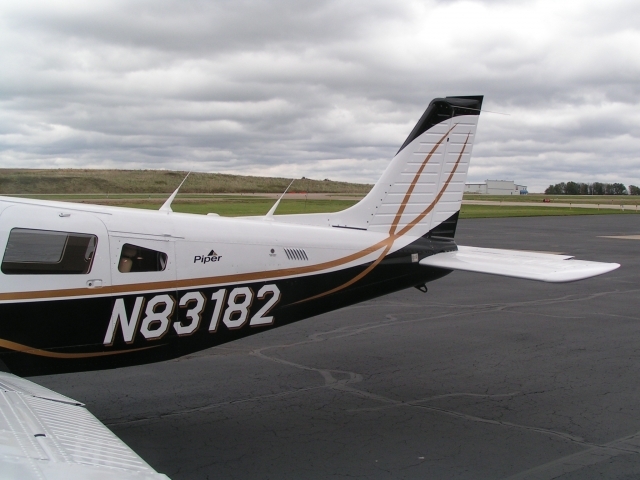 The window trim was dyed to match the interior of the aircraft. The headliner was cleaned and re-dyed or replaced– whatever it took to make it look like new. 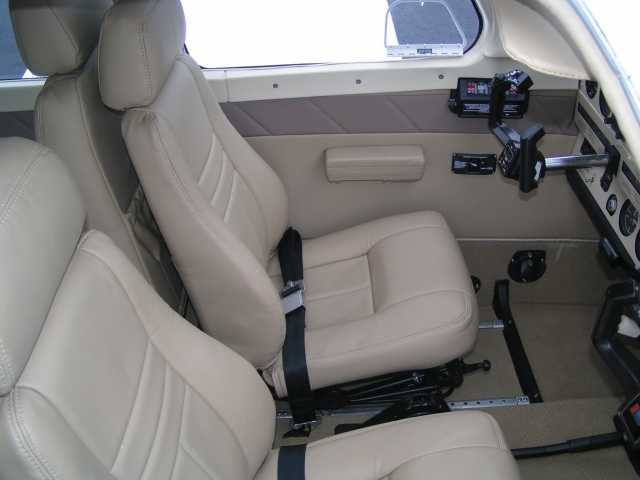 The seatbelts were re-webbed and color coordinated to match the interior. We installed a new interior placard kit, and new carpeting throughout. We fashioned new side panels with new hardware to fit and look like they did from the factory. We padded and covered the armrests in a matching material. We performed a mechanical and structural inspection of the seat frames, and repaired them as necessary. Also, we painted the seat frames to match the interior. We re-worked the foam and the seat webbing so they’re conducive to lumbar and thigh support. If you prefer, we can custom-cut the foam to fit your body shape before you take delivery. We covered the seats in a high-grade leather and vinyl combination and used a double-French seam– the same process used in high-end vehicles. We installed new windlace cord on doors, along with all new door seals. We find that makes for a quite cabin. 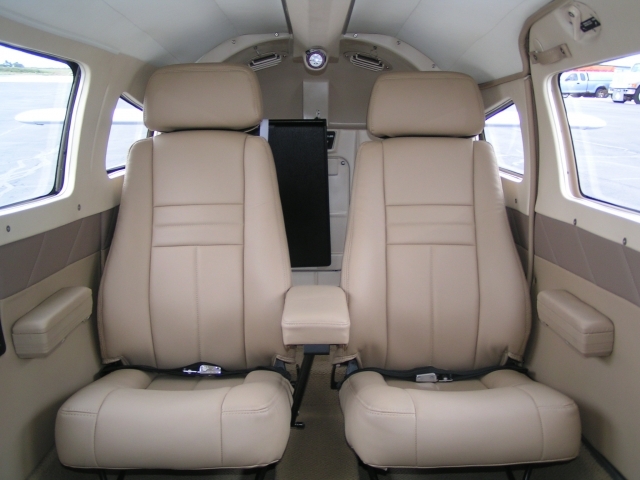 The “in” color for 2014 is a rich light tan which we outfitted in this aircraft. It’s a perfect compliment to the side panels and the cut-pile carpeting in beige. 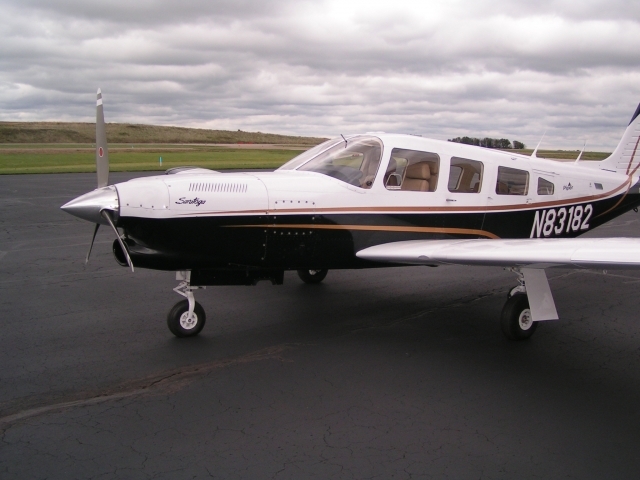 This Turbo Saratoga SP features club seating. 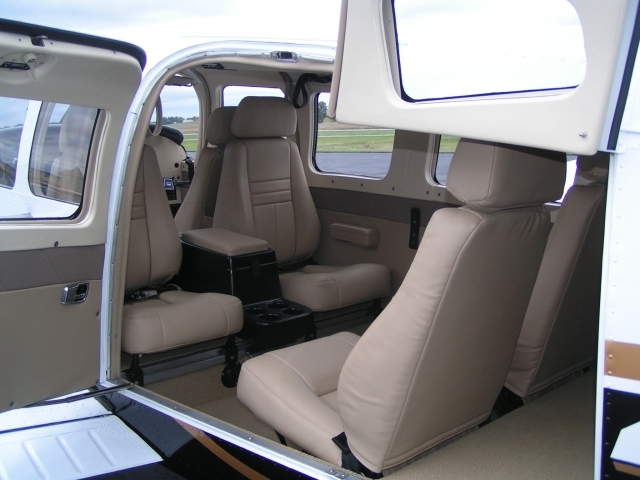 The interior includes a 1 year warranty. 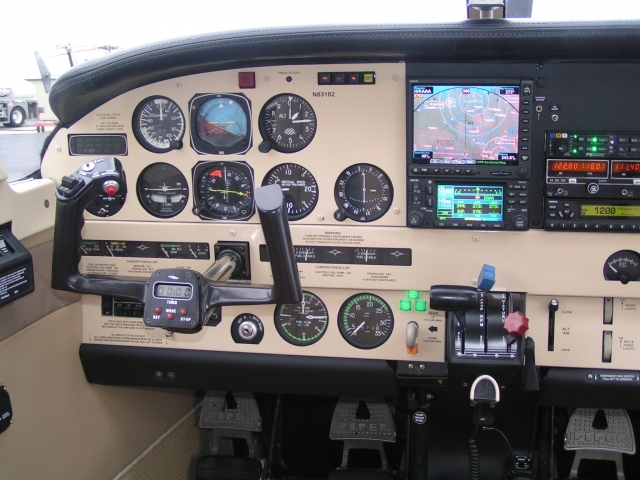 Avionics: We removed all outdated avionics and excess wiring. 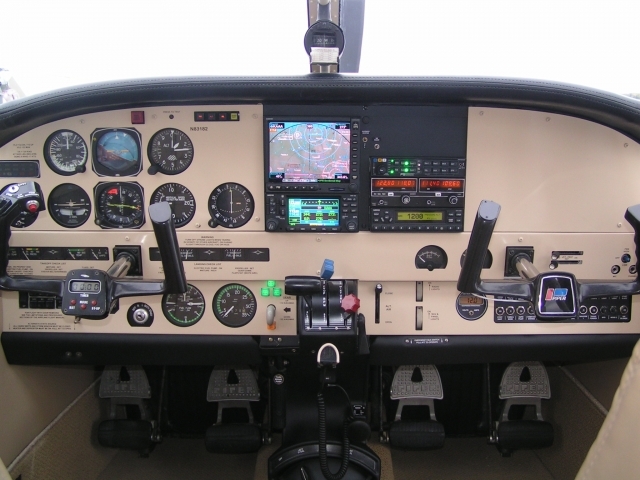 Every flight and engine instrument was inspected for cosmetic and mechanical performance. If any instrument lenses were foggy, discolored, or not working properly, they were repaired. 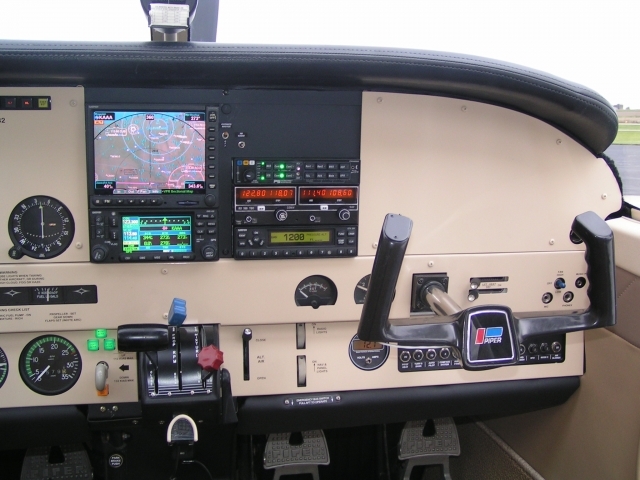 The autopilot is tested to perform to manufacturer’s specifications. If it didn’t meet these standards, it was fixed. All light bulbs were inspected and replaced if not working.